If you've been reading this blog for awhile, you'll not only remember that Edenbrooke was one of my five favorite books from last year but also that I was eagerly anticipating the publication of Blackmoore this year. In fact, I even included it on my list of reading goals for 2013 (as if I was going to forget to read it otherwise). I was so anxious to read it that I pushed past my fear of rejection and requested a review copy from the publisher. I read it within days of receiving it, and when I was done with it, the only thing I really wished was that I was still reading it. Kate Worthington's home life is almost unbearable: her mother is controlling and manipulative; her sisters are dramatic and ridiculous; and every summer, her best friends, Sylvia and Henry, abandon her to spend the summer at the mysteriously Gothic Blackmoore. Kate has always longed to go with them, but Henry's mother is dead set against it. She has plans for Henry, and they don't involve Kate Worthington in any way. But Henry made a childhood promise to Kate that one day she would see Blackmoore. He uses both his authority (as future heir of the estate) and a little deceit (which Kate doesn't know about) to get Kate there. But once she's there, Kate finds her problems are far from over: she isn't welcomed by Henry's family; she has to watch Henry court the impeccable Miss St. Claire; and then there's the difficult business of trying to procure three proposals of marriage (so that she can be released from her mother's hold and go to India), all while trying not to fall madly in love with the one man she's always loved. If you want to know the kind of book I want to read for pure pleasure, Blackmoore is a perfect example: from the setting and time period right down to the all-too-perfect, definitely-created-by-a-woman, must-be-a-figment-of-my-imagination leading man. It was an effortless read, and I mean that as the sincerest of compliments. I have nothing against books that make me think or that involve a certain amount of brain power to understand, but sometimes I'd rather not dissect sentences or break out the dictionary. One of the things I loved the most about this book was the setting. So many regency romances are set in the picturesque English countryside. As much as I love luscious green lawns and well-manicured gardens, I have to say that seeing Kate and Henry's clandestine and tempestuous romance play out against the windy and wild moors was absolutely perfect. I'll admit, with all the talk about propriety and reputation, I wondered at Kate and Henry's audacity to sneak off to an abandoned abbey in the middle of the night or to accidentally meet at the ocean's edge. Part of me rather disbelieved that Henry would risk compromising Kate just to steal a kiss (but thankfully only a kiss . . . this was a "proper romance"). But somehow, with the biting wind whipping around them and the stark and austere landscape stretching out on all sides, their actions didn't seem all that unbelievable after all.This was a case where the setting complemented the characters so perfectly, I'm not sure that one could have gotten on without the other. The one character I really didn't like was Sylvia. I disliked her even more than Kate's mother or Mrs. Delafield. Because, you see, I knew I was supposed to dislike them. There was nothing redeemable or kind in their personalities. But Sylvia? I didn't know if I should love her or hate her. She was Kate's best friend after all, so I kind of thought I was supposed to like her or at least hope they would be able to resolve their differences and renew their friendship. But even when there were flashbacks to the past, I thought she was a tiresome and selfish friend. And then, in the present, I thought her actions were terribly unfeeling. I just didn't like her. I usually only mention the cover if I have a strong opinion about it. And this time, I happen to have a strong opinion. I don't love it. And I think it's because I wish it was reversed, and Blackmoore was more prominent, and Kate was in the background, preferably with her skirts and hair being blown around her. This cover just doesn't fit the tone of the book for me. But the story inside the cover? So, so good. 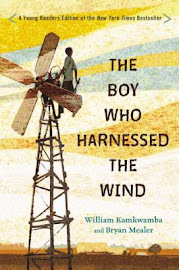 It was a treat to read, and I wish I could have spent a few more days engrossed in it. It will be a book that I come back to again and again, anytime I just need to fall into a good story. I am so happy to be one of the participating blogs in the Blackmoore blog tour. If I've piqued your interest, you might want to click over and read a few more reviews. Or you just might want to get your own copy of the book and read the entire thing immediately. Yes, I think that's what I would do. In that case, you might be interested in knowing that the launch party for Blackmoore is being held at my very favorite bookstore, The King's English, on Tuesday, September 10th, at 7:00 pm. Additionally, check out Julianne Donaldson's website or facebook page for more information on upcoming signings. Also, Amazon is doing a special promotion during the month of September: you can purchase Blackmoore for $7.99 and Edenbrooke for only $1.99 (not affiliate links). Or, you could try to win a copy because guess what? 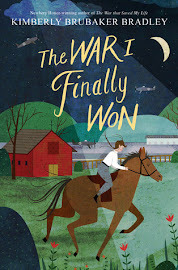 The publisher sent me an extra advance reader's edition, so I have one to give away! All you have to do to enter is leave a comment on this post! And please, make sure you include your email address so I will be able to contact you if you win. You have until Saturday, September 14th at approximately midnight. The winner will be selected at random and announced on Monday, September 16th. U.S. residents only, please. Update: By random selection, "the family" won. Congratulations! And thanks so much everyone for your comments! Full disclosure: I received an advance copy in exchange for an honest review. No other compensation was provided. All thoughts and opinions are clearly and decidedly my own. I follow your blog and have taken your advice on many books. 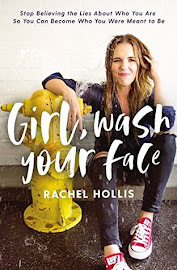 Very jealous that you have already read it. What a fun giveaway. I'm so glad, Shelly! It's so good to hear from you! Thanks, Jennie! We definitely need to talk about Blackmoore now that you've read it. I'm so glad you liked it! I can't wait to read it. I'd love to win! I know . . . and all because of your great advice! Thanks! I hope you get to read it soon! It's so good! I felt exactly the same way about Sylvia!!! We really need to catch up. I know I keep saying that and then not calling but now I have even more incentive because we can talk about Blackmoore! I already have a copy of this book so you don't need to count me in. Speaking of... I was going to lend it to a friend and I set it on my hood this morning while getting the kids in the car and then I forgot about it. I remembered and came back for it but it had been run over in the meantime:( I still lent it to my friend but it had little pebble bite marks on the cover. Oh well, now every time I see it I'll remember how forgetful I am. Too funny! Yes, let's talk very soon! This is one giveaway I'm definitely entering. Loved your review. My thoughts exactly. Except, I actually like the cover. I have been watching for Edenbrooke at Bookman's, my favorite buy-sell-trade shop down here, and haven't gotten my hands on it yet. But it's on my list, and I'm glad Blackmoore measured up to your expectations, too! I need more good fiction to intersperse in my long non-fiction queue :). I really like your reviews. I wish I had more time to read as a mother of an active almost two year old. Thanks, Anita! I definitely know about trying to squeeze in reading time amid the craziness . . . by youngest will be two later this month. Thanks so much for the giveaway! I adored Edenbrooke and re-read it several times... so I have been so happy her new book is finally out! 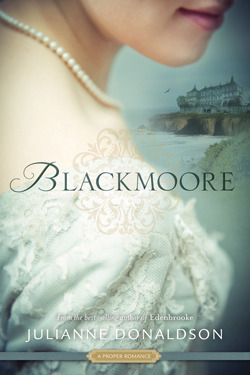 If you loved Edenbrooke, then I think you'll also love Blackmoore. I wish I had copies to give away to everyone! Kate, it's so good to hear from you! I hope you get a chance to read Blackmoore soon! I just discovered your blog - and love and appreciate the many posts you have done. I read Edenbrooke and could not put it down. I am excited to read this one. Still haven't even read Edenbrooke (I've had it checked out for six weeks). And isn't getting your first ARC SUCH a thrill?